The Baron appears to be of German descent. Did his family migrate to Russian after Catherine the Great invited German settlers to take root in Mother Russia? Follow this link to the White Army and see the double eagle that was on the cover of the newspaper Oswald is holding. Like most Texans, Lee had a dream of becoming a Oil Baron. Consider the movie ‘Giant’ starring James Dean a Oswald-like loner. Now look at George W. a Oil Player and Oswald-like character. The baron Peter von Bilderling (born in Saint-Petersburg in 1844) – died in Zapolie in 1900, was an engineer, Russian Imperial Army Engineering Officer. Humanist, he was known for his writings notably for his book on the military horse, the reorganization of the Izhevsk armament factory, the manufacture of Berdanka, the creation of the line No. rifle rifles 4, the Foundation with Robert Nobel in Tsaritsin refinery and creation with Ludwig Nobel of the Branobel’s Baku petroleum company and finally the creation of its agriculture and meteorology of Zapolie station where he invented a roseometre. He is the brother of baron Alexander von Bilderling, the general who participated in the Russo-Japanese war. 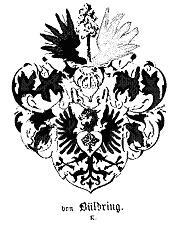 The baron Peter von Bilderling was born to a noble Baltic German native of Courland, became Orthodox family. His father Alexandre Otto Hermann Grigoriévitch von Bilderling was lieutenant general in the engineering. His grandfather, Georges Sigismond von Bilterlings, (1767-1829), was pastor Lutheran in Mitau in Courland(now Jelgava in Latvia), Professor, theologian, philosopher and writer. His mother was descended from a family of non standard Polish nobility, Doliwo-Dobrowolski. Peter von Bilderling was born in Saint Petersburg, May 26, 1844, and died September 25, 1900 in its Zapolie property near Luga, where he is buried. He finished the body of Pages like major in 1861, entered on the roll of honour, then the Academy of artillery Michel, 1re category. He was assigned to the regiment of Uhlans of the guard of the Grand Duke Nicolas. He was aide de camp to general Kartzof in the Caucasus. In 187os, he was sent on a mission, by the imperial government, Britain and the United States to study the manufacture of guns. He was married two times 1. Sofia Vladimirovna Westmann 1853-1914, 2. Natalia Alexandrovna Barantzov 1885-1981. His descendants emigrated mainly on the Côte d’Azur (Cannes and Nice). Having received a lease of State of the imperial government, with baron Standertskjöld, he directs and reorganised the factory ofIzhevskrifles, between 1871 and l879, to use only domestic raw materials. In 1872, he signed an agreement with Ludvig Nobel that provides machine tools. Under his leadership, more than 400,000 rifles Berdanka are produced. It creates the rifle line No. 4. The first telegraph station is open, and the plant is supplied by rail. It was during these years (with the start of production of the Berdan rifle (en) that is implemented the specialization of labour and production on machine tools of all parts of the mechanism of a rifle. Izhevsk is that was invented and manufactured the Kalashnikov. The rifle line No. 4 was the baptism of fire during the Russo-Turkish war of l877-l878. He’ll personally realizing the effectiveness of this weapon, and for its action on the Danube, he received weapons of St Georges. Injuries to the head and leg, he moved to reserve in September executives 188O. This capitalization of 3 million rubles was followed by another 1 million rubles in 1880, 2 million and 4 million in 1881 and finally 5 million in 1884 (250 rubles to enable an increasing number of investors equity). At the end of the XIXe century, it was one of the largest oil companies of the world. Transport by pipeline technology has developed to the point near Baku by Vladimir Shukhov and the Branobel company in the years 1878-1880. 12% of the money left by Alfred Nobel to establish the Nobel Prize comes from his shares in the company; It was at this time its largest individual investor. The Bolsheviks took power in Baku, April 28, 1920, and the oil business, Branobel was nationalized. Circa 1881, after many searches in Courland he bought general Mirkovitch, neighbouring areas of 400 Zapolie and mas 490 mas of Boussany (district of Beluga, Government of Saint-Petersburg). As early as 1889, it organizes and is passionate about the model station of agriculture of Zapolie with a special station of meteorology, deemed even abroad. After the complete organization of the work, it will cede these stations to the Ministry of agriculture. The family of Peter von Bilderling is originally from Westphalia, where in 1350 Otbert Boldring has the fiefs of Cotwik and Overdik (parish of Raalte) being such notables of the Hanseatic League. Found a branch of the family in the Baltic countries with Johan Buldrink, Courland, which became vassal of theTeutonic order by receiving a fee1alongside Riga, Wolter von Plettenberg, grand master of the order, fee which will be known as Bilderlingshof2 between the 17e and 1940 (currently Bulduri). Hermann von Bilderling brought the family into the noble of Courland in 1634 in first class and is cited in the Baltic genealogical literature as comes3 (immemorial nobility). Peter von Bilderling branch passes through Livonia with Friedrich, grandson of Johan, and the fiefs of Karrinem and Taifer, Lithuania with Johan then Melchior and the fief of Miszany. The family will be recognised in his title of baron in the Russian noble by edict of the imperial Senate in 1903. The arms of the family are: Argent an Eagle sable, langued of gules, the chest of money to a Vert poplar. Crest a poplar ripped Vert between a flight of sand to the Dexter and sinister Argent. Mantled sable doubled Argent4. This poplar recalls the original name Boldring (bolder = poplar in old German, Dictionary of Grimm). Baron Alexander von Bilderling (in Russian : Александр Александрович Бильдерлинг 😉 ( St. Petersburg, 1846 – Tsarskoye Selo, 1912) was a general in theImperial Russian army Cavalry. He was famous for his historical workin particular on the life of Lermontov, and sculptures. The top of his military career was reached during the 1904-1905 Russo-Japanese war which ended in the battle of Mukden. Alexander von Bilderling was born into a family of aristocratic Baltic German native of Courland, became Orthodox. His father Alexandre Otto Hermann Grigoryevich von Bilderling, (1805-1873), was a general-lieutenant in engineering. His grandfather, Georges Sigismond von Bilterling, (1767-1829), was pastor Lutheran in Mitau in Courlandе (today Jelgava in Latvia), Professor, theologian, philosopher and writer. His mother was descended from a family of non standard Polish nobility, Dolivo-Dora. He is the brother of baron Peter von Bilderling engineer, engineer of the Russian Imperial Army officer. Alexander married in 1878 Sofia Pavlovna Volkova, whom he had Sophia (1881-1920 in Prague), and Peter (1885-1920 in Maikop), officer of cavalry in the Imperial Army, and then integrating theWhite Army during the civil war. Alexandre_Soljenitsyne recounts the end of Peter at the end of volume II of The archipelago of Gulag “he died as a man of honour, be proud”. Alexander von Bilderling was elevated to the body of the Pages of the Crown Imperial, in St. Petersburg, which he went out among the best (his name was inscribed on a marble plaque). He was buried in Novodevichy in St. Petersburgcemetery, but his grave has not been preserved. * Monument Nakhimov in Sebastopol, (destroyed). * Monument Totleben in Sebastopol, (destroyed). * Monument Przewalski backyard Alexandre de Saint – Petersburg. * Monument on the tomb of Przewalski. * A number of unrealized projects, including the monument in front of the Lermontov Nikolayev cavalry school. As an organizer, he participated in the installation of the monument to Alexandre III in Moscow (destroyed). Alexander von Bilderling took part in the 1877 – 1878 Russo-Turkish war and the Russo-Japanese war of 1904-1905. 1867 between the Academy of staff Nicolas of Saint-Petersburg. 1870 graduated from the Nicholas Academy. 1870 officer of the military region of Kiev. 1875 Director of the military school of the Junkers of the Tver Cavalry. 1877 Commander of 12e Régiment de dragons of Starodub. 1878 Director of theNicolas Cavalry School in St. Petersburg. 1878 participates in the Russo-Turkish war in the 12e Régiment de dragons of Starodub. 1892 general-lieutenant, participates in various committees. 1899 Commander of 17e army corps. participates in the Russo-Japanese war 1904-1905. 1905 Commander of armed 3e of Manchuria. 1905-1913 member of the war Council. Order of Saint Alexander Nevsky with swords. Order of St. Vladimir, 2e, 3e, 4e classes with Ribbon and swords. Order of Sainte – Anne, 1re, 2de classes with Ribbon and swords. Grand Officer of the Légion d’honneur, cross and star. Order of the Red Eagle of Prussia, 1re class. Order of the Crown of Prussia, 2nd class. Commander of theorder of the sword of Sweden. Order ofOldenburg, 2nd class with swords. Order of the Crown of diamond, ofAustria-Hungary. Thanks to the efforts of Bilderling, the Lermontov Museum opened its doors in December 1886, in Saint-Petersburg, inside the Nicolas cavalry school, which Lermontov had been a student. Bilderling put together 705 objects, paintings, watercolours, drawings, written that belonged to him or related to the writer, in particular during his service in the Caucasus. General von Bilderling drew a draft new uniform for the infantry with a helmet that was denied by Nicholas II, because it was unsightly. He organized an expedition in Central Asia with the baron Mannerheim, future field marshal and regent of Finland which took place in 1906. Mannerheim had participated in the battle of Mukden with general von Bilderling and had been his former student at theÉcole de cavalerie Nicolas. He was the cousin of the scientist Mikhail Dolivo-Dora. The names ofwhite, White Army (Russian : Бѣлая Армiя/Белая Армия, Belaya Armia), White movement (Бѣлое движенiе/Белое движение, Beloye dvizhenie) or simply white (Бѣлые/Белые, Codruta), means armed Russians, formed after the October revolution of 1917, fighting against the new Sovietpower. During the Russian civil war they fought against theRed Army, from 1917 to 1922. Soviet historians speak of white guard (Бѣлая Гвардiя/Белая Гвардия, Belaya Gvardiya), as opposed to the red guards of the revolution and with a negative connotation (denying the quality of the White Army). Heterogeneous, they were formed by Tsarist, supporters of a constitutional monarchy, Republican and revolutionary socialists. Some of their leaders continued to refer to the February revolutionfrom power, but the majority of them aspired to return toautocracy. The decision on the future of the Russia was given in the aftermath of victory hoped for against the Bolshevik enemy and a political agenda beyond the status quo did not exist. The failure to respond to the question of agrarian reform and independence movements (Finland, Poland…) fragilisa the White movement. 1.The rejection of the Bolshevik power. 2.The primacy of the military administration that civil. 3.The White movement as a legitimate successor of power imperial or from the February revolution. 4.The recognition of the supreme power of Admiral Kolchak. 5.State symbols (flag, coat of arms, anthem). By August 1917, a leading group is formed around the general Alekseev, joined in December by general Kornilov, in the Don region, South of the Russia. With the help of the allies of The Triple Entente, the white armies are created in 1918 in the peripheral regions of the former Russian Empire. Placed a time under the command of Admiral Kolchak, they converge toward Moscow. During the first half of the year 1919, they progress quickly, and during the summer, the Soviet Government controls more than a portion of territory corresponding to the old Muscovy. In the South, in addition to theArmy of volunteers commanded by general Denikin, was that of the Cossacks led by atamans Kaledin and Bogaievski. To the East, throughout Siberia and theUrals region were under the control of the armed forces of Admiral Kolchak. The more or less autonomous troops of different atamans were operating in Central Asia and on the border with China and the Mongolia. In the Northwest, Yudenich army advanced towards Petrograd. In Latvia the Bermondt-Avalov army fought independently against the Bolsheviks and the separatists. The North was held by the army of general Evgeny Miller, whose base of operations was in Arkhangelsk. Main article: Russian ally during the civil war Intervention. The White Army received the occasional help of forces from outside of the Russia: Japan, the United Kingdom, Canada, France, the United States,Germany,Australia, Greece and Czechoslovakia. This external assistance including led operation Archangel, where the allies, led by the USA, landed troops in the Arkhangelsk region at the end of 1917. France, for its part, will send two squadrons of cavalry formed foreign legion, in large part, by the first white supporters Russians refugees in France. The France and England also intervene in the Black Sea in 1918-19 in favour of the army of Denikin, but without much success. Soldiers of the White Army in Kiev, 1919. At the end of 1919, the military situation changed for the benefit of theRed Army and held by the white armies are almost dislocated. However, Wrangel led an offensive back in the Crimea in 1920 (the French Government recognized officially in 1920 the Wrangel Government) and an armed movement persists in the Vladivostok region until 1922. In August 1922, two months before its defeat, the Commander of the White Army in the far East Mikhail Diterikhs convened a Zemsky sobor inlove in Vladivostok region and elected (without his participation) grand Duke Nicholas Nikolayevich Romanov as tsar of all Russia. But the white troops should give up the fight and are scattered. The survivors embark on the Allied ships or take refuge in the neighbouring countries of theUSSR. The reasons for the failure of the white armies are political and military. The Red Army received a numerical superiority and a unified command and of better quality. For their part, the White Army suffered from failures in their command and have failed to unite and cooperate effectively with each other. Beyond this aspect, the absence of a political and social program that could rally autour populations to the cause of the counter-revolution has been decisive. Unpopular measures, such as the mobilization in the occupied areas and the return of the pillars to their owners, were distant white mass of the peasants who hoped to finally access the ownership of land.